Our development team has created a super useful tool that we want to share with you. If you’re struggling to keep track of your Qlik Sense apps and related Reload Tasks you might want to checkout our PlatformManager Viewer. The Viewer visualizes your Qlik Sense apps and related Reload Tasks directly from your Qlik Sense server. It is easy to install and easy to use. And the best news: It’s 100% Free! If you’re interested follow the link to register, download and start using this product. And do send us your feedback! 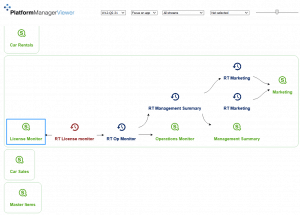 Click here to register for your free PlatformManager Viewer copy!